My son lives in a day dream most of the time. He is very sensitive to everything and E-Motional. Sometimes when I look into his eyes he is definitely not there. He appears afraid of everything and yet at peace with everything. He tolerates so much especially after having so many operations and tests with doctors. He says things that a child of his age would not normally know. One of the many lessons The Rainbow Child will learn is to discern what is their own personal truth and what is of their Parents, Teachers, friends, etc. Each one of us develops a human truth and is able to create it quickly. However these connected Beings find it challenging as each time they make a decision as to what feels ‘right’ for them and someone else says something opposing, they will automatically feel ‘wrong’. With this comes a sensation and feeling of always feeling insecure and unsure of themselves. However from the outside they shall appear confident. The Rainbow Child has an ability to ‘take on’ and accept other people’s past lives so as to have an accelerated hu-man experience and learning. When I look at their energy, their blueprint does not have past life markings but they can have other people’s. This is because they know how the God source works and that we are all ONE. Their learning lessons are not so much hu-man life but SELF MASTERY. Knowing themselves as an individual. As a result of this, it can take a Rainbow Child many years to ‘grow up’, sometimes not until their mid thirties. Being so connected and sensitive to everything, The Rainbow Child finds life on Earth challenging in regards to food, toxic products such as paints, car fumes, oil spillages, etc. They will be aware of it, but their Parents aren’t. The most important aspect is the food intolerance. These include colours, preservatives, meat, wheat, dairy and complex proteins such as eggs. The easiest way to feed them is with fruits and vegetables. Being such a ‘pure’ being and connected to ALL, they thrive on the ‘real’ food such as whole foods. As teenagers and adults The Rainbow Child will have a pear shape body. This particular shape is about relationships and identity ….. knowing who they are as there is no distinguishing any different from someone else. The hip area can hold parenting and childhood ‘issues’ – and this is where the weight will stay on. The relationship is knowing who they are, although they once knew. The memory loss is that they are LOVE and LIGHT! Rainbow children come to experience life and are great Teachers. Children with ‘disabilities’, SIDS, and terminal dis-eases will be Rainbow Children. They know their journey and what to do – teach people. They can also be the child whom is unwell with lots of colds, ear problems and sore throats. The reason for the ear/sinus problems is that their bodies work on such a high frequency that Earth’s energies and vibration is quite dense and affects them. The nose represents intuition/knowingness and that is where they work from ALL the time. 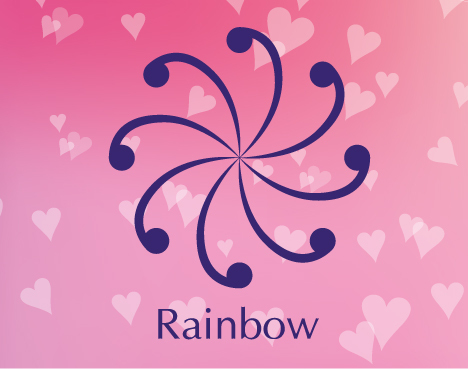 Being the Teacher, for some Parents these The Rainbow Child can be very challenging in regards to emotions. Having an innate understanding of true ALCHEMY, these children will create emotional experiences, especially to Parents whom may have got caught up in the illusion of life – materialism, status and external self worth. This can be done with illness, dis-ease and sometimes behaviour that is ‘unacceptable’. The world requires such a BIG wake up call at present, the Rainbow Child will teach in their own way about Universal TRUTH, knowledge, rules and unconditional love. They are the new Masters working in very humble ways. In the ancient Sanskrit’s, it mentions “Only the humble shall reign” – the Rainbow Children shall teach it, first by example and then through books, schools, etc.